For all the confusion about Syria’s civil war, there’s no doubt about the big loser – the Syrian people. But nearly every regional power that has intervened to advance its own interests has also paid a heavy price, as has the European Union, a not-so-innocent bystander. For now, the most likely winners are the former Cold War antagonists, the United States and Russia. Their success may ultimately cost the Middle East dearly. Three wars are currently raging in the Middle East – in Syria, Iraq and Yemen. The list of countries directly or indirectly involved in the fighting is impressive: Iran, Russia, Saudi Arabia, Turkey, the United States, Bahrain, Egypt, Jordan, Lebanon and other member countries of the Arab League and the European Union. The cost has also been impressive. In Syria alone, the civil war has killed more than 270,000 people; out of a population of 20 million, nearly 5 million have emigrated and another 7 million have been displaced. The country’s cities are in ruins and its economy shattered; reconstruction costs are estimated at a minimum of $35 billion. Elsewhere, the fighting has sprung from a broader Sunni-Shia conflict that pits Iran, the leading Shia power, against a broad Arab coalition led by Saudi Arabia. Taking advantage of the disruptions caused by U.S.-led intervention in Iraq and the toppling of Sunni-led regimes during the Arab Spring, Iran has extended its influence westward to the Mediterranean and southward to the Gulf of Aden. In Iraq, Tehran has played a crucial role in assisting the majority Shias in the civil war that followed the overthrow of dictator Saddam Hussein. In Yemen, Iranian support helped Houthi insurgents oust President Abdurabuh Mansur Hadi and seize the country’s capital Sana’a. This success forced Saudi Arabia, as the leading Sunni power, to launch an armed intervention at the head of an “Arab Defense Force” including Bahrain, Egypt, Jordan, Kuwait, Morocco, Qatar, Sudan and the United Arab Emirates. On the Persian Gulf, Bahrain and Saudi Arabia’s eastern province have been rocked by Shia protests. The demonstrations against the ruling Sunnis in Bahrain, where Shias are in the majority, were so serious that Saudi troops had to be dispatched to help quell the uprising. In Lebanon, Iran’s influence though its powerful proxy Hezbollah has become so obvious that Saudi Arabia retaliated in March 2016, canceling $4 billion in military aid and calling on its citizens to avoid the country. The travel warning was immediately adopted by the Gulf States and on March 11, the Arab League declared Hezbollah a terrorist group. This decision reflects worsening tensions between the Sunni Gulf States and Iran and could have major consequences, including fomenting an open conflict between Hezbollah and Lebanese Sunnis. The sharp end of the Iranian wedge is in Syria. In retrospect, it is clear that U.S. President Barack Obama’s decision in August 2013 not to retaliate against Syrian government forces for using chemical weapons gave President Bashar al-Assad the opening he needed to survive. Mr. Obama’s backing away from his own “red line” became less mysterious when it was revealed that Washington was conducting secret talks with Tehran on its nuclear program. Subsequent events follow from this decision, which gave Iran the opportunity to intervene in the civil war by deploying its Revolutionary Guard Corps and Hezbollah troops. Tehran’s involvement only increased after negotiators agreed in April 2015 on a preliminary “5+1” nuclear deal, which was strongly supported by U.S. diplomacy and signed three months later. Despite Iranian reinforcements, government forces kept losing ground as Mr. Assad’s army began to run out of men. It was at this moment that Russian President Vladimir Putin decided to intervene at the Syrian regime’s request. Since late September, Russia has been running the show in Syria, including giving orders to the Syrian army. The 4,000 airstrikes conducted by Russian aviation have not been aimed at Islamic State, or Daesh as it is known in Arabic, but at “cleaning out” the territory between Damascus and Aleppo in preparation for a future Alawite state. For the Saudis, Iranian expansionism is a very real and immense threat. Any “Persian” thrust through Iraq, Syria and Lebanon will have to be met by a counterthrust under the “pan-Arab” banner. In the rhetorical sphere, it is worth noting that Iranian propaganda already lays claim to control of four capitals: Baghdad, Sana’a, Damascus and Beirut. While Saudi Arabia is not likely at this stage to risk a direct conflict, it fully realizes that Tehran’s intervention to help overthrow Sunni governments across the region is an existential threat that could one day reach Riyadh itself. One consequence of this Iranian penetration has been a revival of Arabism from the Atlantic to the Persian Gulf. Even Iraq is torn between its historical allegiance to both the Arab world and the Shia community. This reaction makes the Shia-Sunni conflict by far the most dangerous and unpredictable in its consequences. The emergence of Saudi Arabia as an active player after the death of King Abdullah in January 2015 underscores the gravity of the situation. The new team under King Salman Bin Abdul-Aziz has consolidated power at the top and is taking aggressive measures to counter Iran. The new ministers of defense (Deputy Crown Prince Mohammed bin Salman) and foreign affairs are decisive and energetic, which represents a big change from the traditional Saudi policy of observing events and reacting through diplomatic channels. It was in this context of Saudi-led backlash that a non-Arab Sunni power, Turkey, decided to enter the fray in Syria by bombing the Kurds. Turkish President Recep Tayyip Erdogan recently accused the Assad regime of genocide and said he was ready to join forces with Saudi Arabia to intervene in the civil war. The UAE and Bahrain have also offered to participate. According to U.S. Secretary of State John Kerry, the potential deployment of Turkish and Saudi-led ground troops has Washington’s support. Whether this would risk direct confrontation with Russian and Iranian forces in Syria is not clear, given the precarious truce that has been in place since February 29 and the restart of Geneva peace talks in mid-March. The Iranians have paid a high price in Syria. Published records mention that eight Revolutionary Guards generals and several hundred “volunteers” have been killed, but the real number is probably much higher. Hezbollah’s casualties exceed 1,500, including a number of important commanders. What has been gained for this blood is uncertain. Local successes have been achieved, but the front lines are fluid and many territorial gains have been lost only a few days later. The main accomplishment of Iranian intervention – and even more that of Russian forces – has been to give the Assad regime a temporary lease on life. Saudi Arabia has also paid heavily, with the cost being tallied more in money than in blood. In 2015 alone, Saudi spending on U.S. weapons totaled $23 billion, even as oil prices plunged from $120 to $30 per barrel. Yet Riyadh is much better able to foot this bill than Tehran, thanks to secret financial reserves that may be sufficient to cover expenditures for the next 20 years. Iran, weakened by two decades of Western sanctions, needs oil revenue to revive its battered economy and can ill afford a significant military buildup. Russia, by contrast, has made a small down payment on an investment that may continue to pay dividends for decades. By propping up the Assad regime, they have regained a military foothold in the Mediterranean at the naval base of Tartus. In the longer term, they will have no hesitation about carving up Syria in a new “Sykes-Picot” arrangement, with or without Mr. Assad. Whether this will result in an actual partition of Syria, the construction of a loose federation, or the creation of an independent Alawite state is not yet clear. The February offensive against Aleppo and Homs, together with the bombardment pattern mentioned earlier, suggests the latter may be the main objective. In this light, Russia’s announcement of a partial pullout from Syria is well timed. Firstly, it allows Mr. Putin to quit while he is ahead and use the cease-fire to safeguard recent successes. It also spares Russian forces from potential losses as Turkey and the Saudi-led coalition step up their aid to the anti-Assad forces (including shipments of advanced anti-aircraft missiles that downed a Syrian jet on March 14). Russia’s about-face also puts pressure on President Assad and the Iranians not to sabotage the Geneva talks, while distancing Moscow from any association with a partition of the country. Even if President Assad is forced to cede power to another Alawite, he will still save face as the enabler and in some sense the founder of a new state. Ultimately, what the Kremlin wants is an ally that will guarantee a continued Russian naval and air presence in Tartus and Latakia. None of this promises any long-term relief in the Shia-Sunni conflict. The main protagonists – Iran and Saudi Arabia – will find it difficult to disengage. 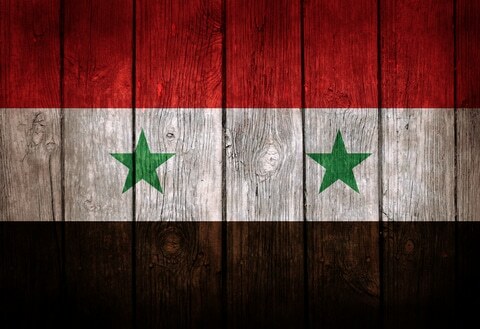 Syria, Iraq and Yemen will remain unstable; proxy conflicts will continue; and a potential Alawite state could find itself in a near-permanent state of war with its larger Sunni neighbors. Through adroit manipulation of its local alliances, the U.S. has slowly reasserted its leadership by using a strategy of procrastination. While it can be debated whether this technique is calculated or not, it has brought undeniable success. Much has been made of the conflicting interests of the U.S.’s many allies – including Turkey, the Kurds, the Saudi coalition, the Iraqi government and various Sunni militias. What is less appreciated is the flexibility this offers Washington. The U.S. has many local partners and clients who must pay heed to what it says, even if they do not always agree or comply. A good example is the nuclear agreement with Iran. Despite the priority attached to this deal by the Obama administration, U.S. allies realize that Washington does not trust Tehran. It is much too early for that. Therefore, the correct strategy is to test Iran’s intentions and observe its actions. One way is to allow a potential quagmire in Syria. Tehran is aware of this trap, but it may not be able to avoid it. One emerging scenario assumes an implicit grand bargain between the U.S. and Russia. In this case, borders in Syria and Iraq could be redrawn between the Kurds, Alawites, Druse, Christians, Sunnis and Shias. Potentially, this could set in motion a much broader reshuffling in the entire region, from Turkey through Saudi Arabia, the UAE, Yemen, Jordan and Palestine. This process would not be peaceful. As mentioned above, the creation of an Alawite state will not occur without bloodshed. Most likely, it would result in a series of wars reminiscent of the Arab-Israeli conflicts. Like the Israelis, the Alawites would have to win because they have nowhere else to go. Such an outcome would by no means be inimical to Western interests. It would also be favorable to Israel, by creating opportunities for alliances with other minorities in the region. Any wholesale shift in borders would entail frontier battles and open combat that could drag on for several decades. The conflict would be all the more protracted because it concerns not just territory but deep religious and ethnic divisions. Unless a new spirit of toleration miraculously prevails, the Middle East may truly be headed for a very long period of war.